I had another half day planning meeting, this time for Kindergarten to plan stuff for next year. It’s a good thing we were close to bathrooms. Taking a class through a donut factory wasn’t a good idea. I didn’t sleep much last night since the gluten was tearing out my stomach lining all night. But that didn’t make me as angry as a simple paper jam in the copier. 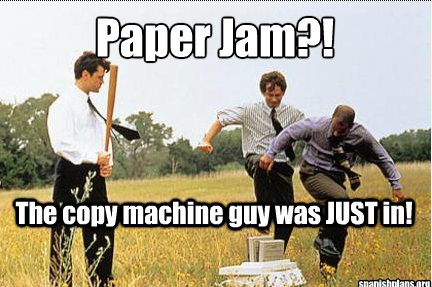 Nothing sets me off like a paper jam. Another lazy run after school but only a mile since the gluten contamination was really bad yesterday. This may be an epic contamination and I’m a little worried about this weekend. It doesn’t just go away overnight. 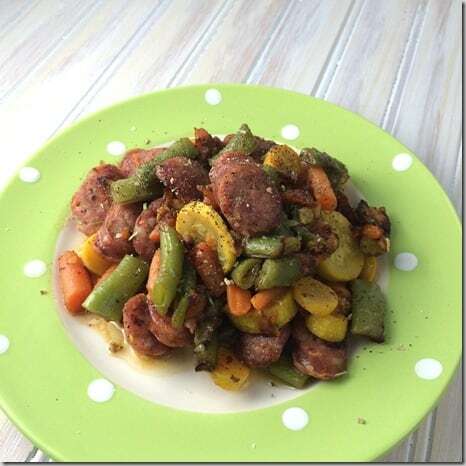 Dinner was THIS. And it was exactly what I wanted. All from the farmers’ market this weekend. Throw in a pan. Cook it. Eat it. 20 minutes and dinner was DONE! Previous Post: « Let’s go on a field trip…..